A collection of articles, tips, and information for students of all ages! Click on the Practice Tips link above or the categories button on the right. Have an instrument in good playing condition. Talk to your teacher if there is a problem. Sometimes just hanging out with your instrument is a good thing – watch tv and hold / play around with it. Start small and take baby steps – go for 1 minute!! Really! Hold your bow without the instrument and do bowing exercises. If your brain is involved it’s practice. Writing in counting, air bowing, clapping, finger exercises – even without sound it counts as practice! Remember – the most difficult part of practicing is opening your case! Record yourself often – both audio and video. I recommend the Tascam DR-1 and Kodak ZX1. You must involve your brain! Plan. Pre-plan. Plan some more. Think about it. Really think. Change. Make it real. Make it happen. Choreograph it. With thoughtful though in play, TAKE ACTION! I’ve also discovered that sometimes fixing something just involves doing it. Just doing it or fixing it. This is not to discount the need for repetition. We learn by repetition and rote. However, blind and mindless repetition is useless. being yelled at for not practicing. Sort of a combination of Al Pacino and The Wrath of Khan. ehh. Wrath of Khan is a favorite of mine!!!! KHAAAAAANNNNNNN!!!!! ok now go practice your melodic minors…. Hey, the link to the practice flow chart page is dead. Wanna try again? Thanks! Thank you for letting me know! It should be good now. Great flowchart! 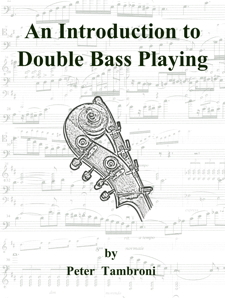 It teaches the students the steps for efficient and effective practicing in an easy to follow format. This will be a great addition to my teaching tools.